Recently we introduced you to ASX newcomer Nickel Mines Limited (ASX:NIC) and posed the question: is this company the next big thing in nickel? Well, NIC is certainly moving quickly to live up to the moniker. 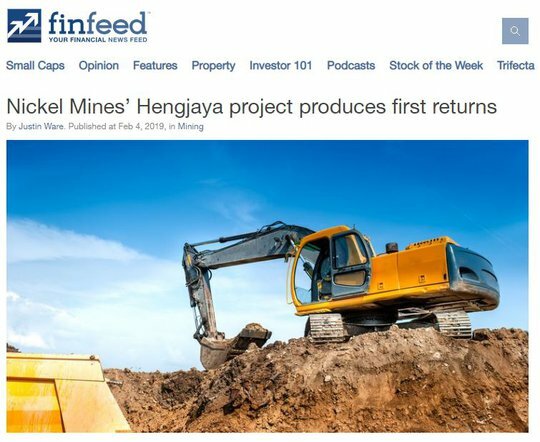 Just last week the company announced that a first batch of Nickel Pig Iron (NPI) had been produced from one of the two rotary kilns at its 60% owned Hengjaya Nickel Project in a maiden production run leading into the Chinese New Year holiday season. So now with full scale production coming into view, combined with low costs and a bullish nickel price outlook, NIC could be well on its way to answering the ‘next big thing’ in global nickel markets question. What initially piqued our interest in NIC was the financial, operational and strategic partnership it had struck with Tsingshan Group, the world’s largest stainless steel producers. Under the terms of two separate Collaboration Agreements with Shanghai Decent, a Tsingshan group company, NIC will own and operate RKEF processing facilities within the Indonesia Morowali Industrial Park (IMIP), the world’s largest vertically integrated stainless steel facility with a current stainless steel production capacity of 3.0 million tonnes per annum. In addition to these downstream processing assets NIC also holds an 80% interest in the Hengjaya Nickel Mine, a large tonnage, high-grade nickel laterite deposit is located just 12 kilometres from the IMIP. In our introductory article, The Next Big Thing in Nickel? ASX Newcomer Partners Up with World’s Biggest Stainless Steelmaker, we also suggested there would be a string of upcoming share price catalysts for investors to look forward to in the months ahead. Last week’s announcement of first NPI production was the first of these and came a little sooner than expected. This milestone event came as NIC’s share price recovered to its IPO listing price of 35c (for a market cap of $486 million), a level that clearly ignores the six months of solid progress since – although it has been in a solid uptrend since early January. 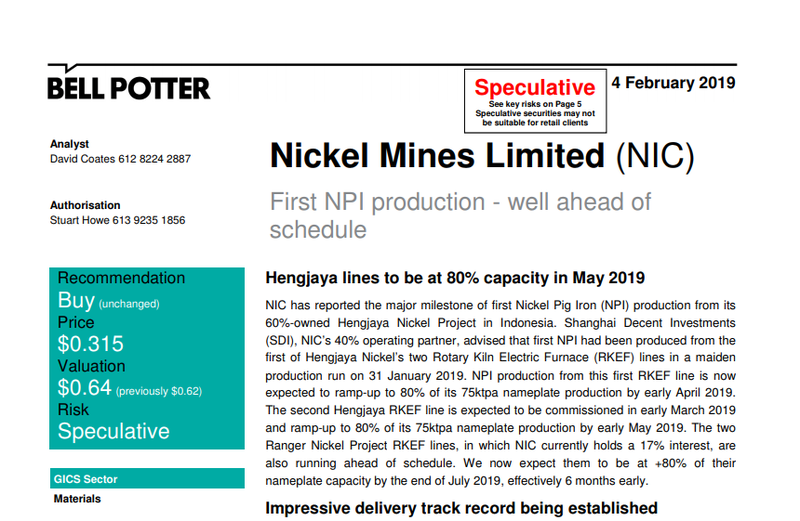 As Nickel Mines (ASX:NIC) reported last week, a first batch of Nickel Pig Iron (NPI) was produced in a maiden production run from one of Hengjaya Nickel’s two rotary kilns. 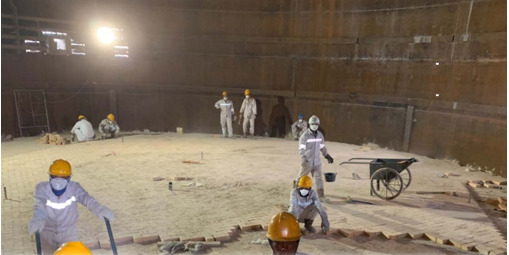 With first production over the line, Hengjaya Nickel’s first kiln is expected to reach at least 80% of nameplate capacity by early April 2019. The second kiln is anticipated to commence commissioning in early March and is expected to reach at least 80% of capacity in early May 2019. Ramp-up to full scale production will be achieved shortly thereafter. Shanghai Decent has advised that an expedited schedule will now see the first kiln of the company’s 17% owned Ranger Nickel Project ready to commence commissioning in April 2019, with the second kiln to commence commissioning in May — well ahead of previous guidance of ‘the September quarter’. Under the terms of its Collaboration Agreement with Shanghai Decent, a second acquisition option, will permit NIC to increase its interest in Ranger Nickel to between 51% and 60% before 31 December 2019. A third acquisition option will then allow NIC to increase its interest to up to 80% in the Ranger Nickel within 18 months of the first batch of NPI being produced. The Hengjaya Nickel and Ranger Nickel Projects considered together give NIC a potential nickel production profile of approximately 30kt of nickel per annum. This would make it one of the largest listed pure play nickel companies anywhere in the world, and well on the way to achieving its objective of becoming a tier-1 nickel investment exposure. We can expect significant upside for Nickel Mines due to the project having very low capital intensity. And since it can boast being among the lowest cost nickel producers in the industry, NIC anticipate that it will generate strong operational cash flows. Announced the Hengjaya Nickel Project is now commissioning and has produced its first NPI, having commenced construction in early 2018. Following last week’s news of first production, Bell Potter analyst David Coates reaffirmed his ‘buy’ recommendation on the stock. He upgraded his forward earnings estimates and lifted his price target from 62 cents to 64 cents, implying share price upside of nearly 100% from the current 35 cent price. The broker noted that other than the clear positive of earlier production and cash flow for NIC, the news will boost sentiment around the stock as it continues to build a strong track record of delivery. Of course broker predictions are speculative and there's no guarantee they'll eventuate. The report notes that hard catalysts that could drive a re-rating of the stock in 2019 are advancing rapidly. As nameplate production is achieved, the market will have to take a fresh look at NIC’s production and cash flows and value it accordingly. NIC does plan to fund its growth via increased ownership of the Hengjaya and Ranger RKEF lines. With long-life, low cost assets, Bell Potter recognises that NIC has a wide range of funding options available to it, in addition to its partnership with Shanghai Decent. is further evidence of Tsingshan’s industry-leading ability to deliver a project in record time. Benefitting from very low capital intensity and being among the lowest cost nickel producers in the industry, NIC expect to generate strong operational cash flows going forward, supported by a buoyant nickel price environment in the years ahead. And as pointed out by Bell Potter a re-rating will likely be on the cards, “as nameplate production is achieved the market will have to take a fresh look at NIC’s production and cash flows and value it accordingly”. Despite Nickel Mines having achieved so much in just six months, it’s hard to believe the company is now just getting back to its 35c IPO price. But herein lies the opportunity for investors. With the nickel price having recovered more than US$1/lb over the last month to current levels of around US$5.70/lb, and general sentiment toward the resources sector beginning to improve after a brutal last quarter of 2018, it can be expected that this positive news flow may soon be reflected in NIC’s share price. If it does, NIC might just prove itself the next big thing in nickel, establishing itself as a tier-1 investment among listed nickel producers.